Nvidia has just introduced their new high-end Maxwell-based GPUs the GTX 980 and GTX 970 and the expectations from them in terms of performance for crypto mining are pretty high. After earlier this year we saw what the mid-range GTX 750 Ti, the first Maxwell card was capable of, we already had high hopes for the upcoming faster models. Apparently we are not going to be disappointed by the performance we are going to get, below you can see a chart with the hashrate that the new GeForce GTX 980 (GM204) provides in various crypto algorithms. These were actual tests ran using the latest versions of CudaMiner and ccMiner with support for Compute 5.0 with no special optimizations that could possibly benefit the new cards any further. 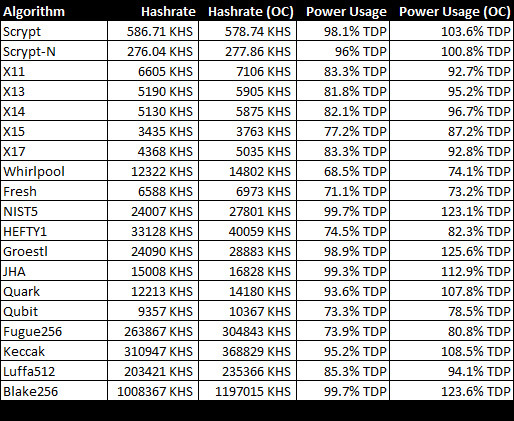 In the table you can see the algorithm, the hashrate you get with the GTX 980 and the TDP usage percentage. The GeForce GTX 980 has a TDP rating of just 165 Watts, so with this maximum power consumption you can see that not all algorithms are utilizing it at 100%, meaning the actual power usage is lower. 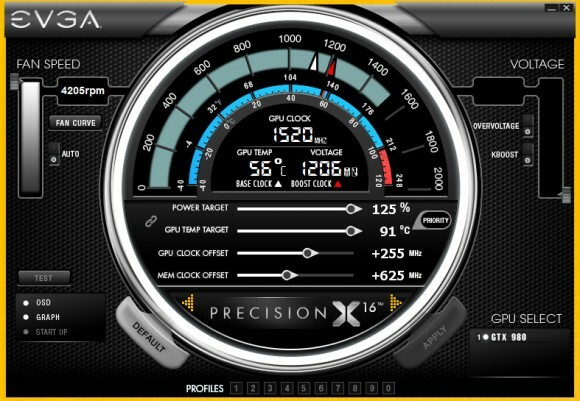 The performance you can expect to get from the GTX 980 is roughly about three times higher with about three times more power usage as compared to the GTX 750 for crypto mining. The initial price of the GTX 980 however could be a reason for miners to go to the slightly slower GTX 970 model for crypto mining as you should be able to get two GTX 970s for a price a bit higher than for a single GTX 980 and the performance you will get from the two cards should be significantly better than from a single GTX 980. The results posted above are with a reference GTX 980 card running at stock frequency, considering that the GM204 does overclock really good, higher results can be attained when the card is overclocked. The second set of results (the OC ones) are achieved with the card overclocked to GPU at 1520 MHz, Video RAM to 8250 MHz and TDP limiter set to the maximum 125%. This is really pushing the GTX 980 to its stable maximum limits as the card really does handle serious overclock pretty well. Unfortunately we do not have access to a GTX 970 GPU for the moment, so we cannot yet test to see the difference in performance, though it should not be that high, but the 970 should be available at a much more attractive price, so it could be the more obvious choice for crypto mining rigs. The GTX 750 Ti still seems like a good more budget oriented solution for mining. You should be well aware of the fact that some ccMiner forks are nor working very well with the GTX 980, we’ve had some weird results showing like way too little load and low hashrate or the miner crashing, also one of the reasons that not all available algorithms are listed. The GTX 980 and GTX 970 does support Compute 5.2 and not all forks of ccMiner we have used for testing are compiled to even support the Compute 5.0, the CudaMiner has not been updated for a while and we have used the latest official release for the Scrypt testing… not that you would use a GPU nowadays to mine Scrypt crypto coins anyway.